And it’s golden. We don’t really have a mission statement, we have more of a lifestyle initiative. “We’re all in this together” is our mantra and it’s what makes us who we are. Our community-focused approach to the restaurant business is all about making sure everyone gets the royal treatment. We treat our guests how we would want to be treated, and we treat each other that way, too. Being a neighborhood tavern, it’s only right that our guests feel right at home. Bringing innovative, shareable food and drink to the table means appreciating all aspects of our community, from the friends sitting down for a bite to the vibrant kitchen gurus who give our food life. We’re not usually ones to impose rules, but this one is coming straight from the heart of Hanover Street. 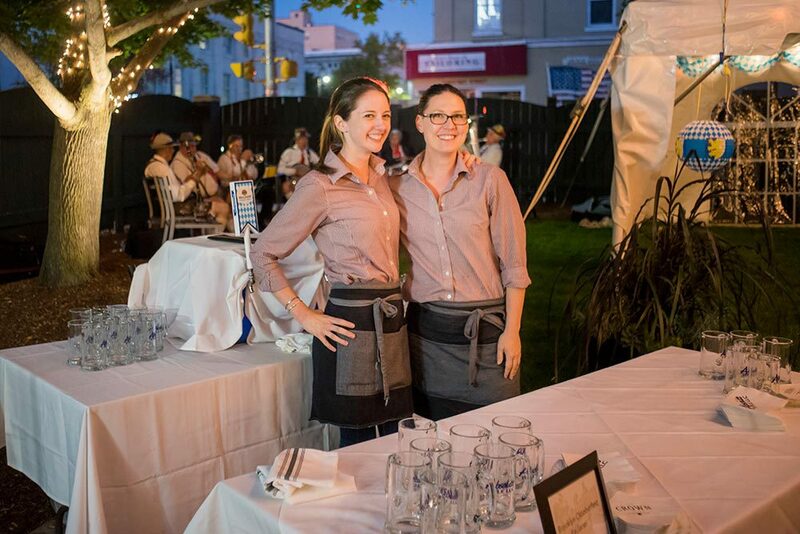 The best experiences are shared, and our crew knows how to make any gathering into a special event. Our Crown Tavern team hails from all over, but we’ve all gathered here in Manchester to bring a casual, shareable, memorable experience to the heart of downtown. We step up our commitment to serving delicious, healthy food by sourcing fresh, local ingredients from growers we know and trust. That way, you know just where your food is coming from – and you help to support local food producers each time you come by for a bite. We’re dedicated to our community commitments, and we work hard to make sure we’re putting as much back into our neighborhood as we get out of it. That’s why we work with a variety of nonprofits and charitable organizations to help boost our community and do our part to give back.